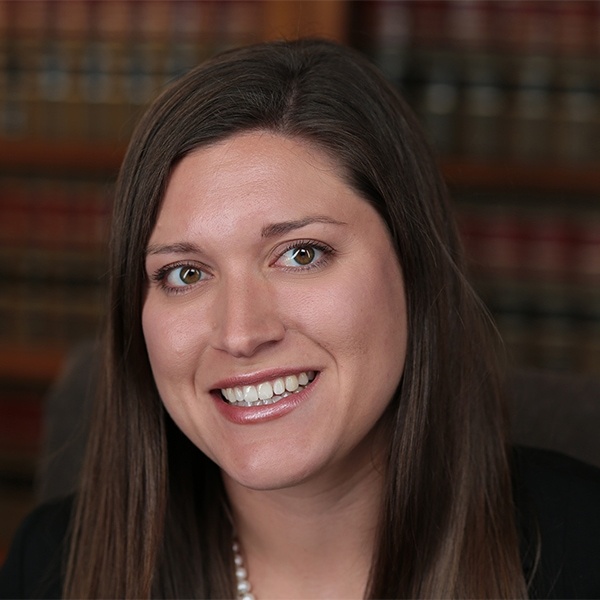 Autumn Aspen joined Hickey & Evans in 2016 as an Associate. She graduated from the University of Denver Sturm College of Law in May 2015 with a Certificate in Environmental and Natural Resources Law. Autumn graduated from Flagler College in St. Augustine, Florida with a B.A. in History and a minor in Spanish. Autumn’s practice areas include general civil litigation, education law, and labor law. During law school, Autumn worked in the University of Denver Environmental Law Clinic. She also completed internships with MarkWest Energy Partners in Denver, CO, Oceana in Washington, D.C., and the U.S. Department of Energy’s National Renewal Energy Lab in Golden, Colorado. Autumn was also an Articles Editor for the University of Denver Water Law Review. Autumn currently serves as an alternate member on the Historic Preservation Commission in Windsor, Colorado. She and her husband, Kyle, enjoy hiking, fishing and spending time outdoors. University of Denver Sturm College of Law, Denver, Colorado, 2015 J.D. Flagler College, Saint Augustine, Florida, 2012 B.A.